Gospel vets the Blind Boys of Alabama rounded up a cast of indie stars for their latest album, the Justin Vernon-produced LP I'll Find a Way, and now they've announced plans to support it with a hefty slate of tour dates that will last for most of the remainder of 2013. The album drops on October 1 through Sony Masterworks. The tour kicks off a couple of weeks before that, and they will continue playing shows steadily until the second half of December. 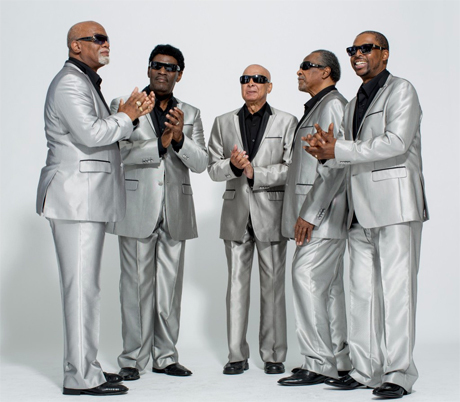 In addition to a host of U.S. gigs, the Blind Boys of Alabama have a few Ontario shows in November. See the hefty schedule below. I'll Find a Way features Vernon, along with guest contributors tUnE-yArDs, Patty Griffin, Sam Amidon, My Brightest Diamond's Shara Worden and White Hinterland's Casey Dienel. Read more about it here. Scroll past the tour itinerary to watch a making-of doc about the new album.